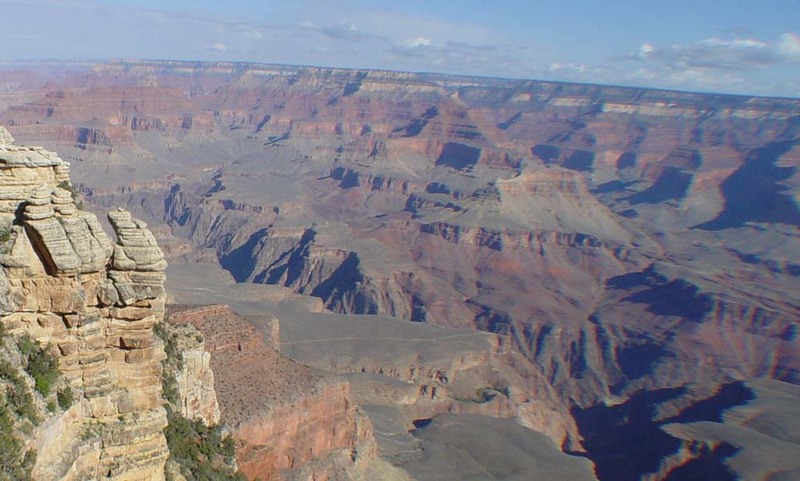 Due to pressure from Bush Administration officials, the National Park Service is not permitted to give an official age for the Grand Canyon. Additionally, a book claiming the Grand Canyon was created by Noah’s flood is for sale at the National Park’s bookstore. Check out this exchange between CNN and a spokesperson for the White House regarding the capture of Osama Bin Laden. HENRY: You know, going back to September 2001, the president said, dead or alive, we’re going to get him. Still don’t have him. I know you are saying there’s successes on the war on terror, and there have been. That’s a failure. TOWNSEND: Well, I’m not sure — it’s a success that hasn’t occurred yet. I don’t know that I view that as a failure. I just learned from my colleague Dennis Harper of Generation YES that our nation’s Homeland Security Department confiscated calendars comprised of 12 pieces of student art, printed on cards and stored in a CD case. The calendars were traveling with a friend of Dennis who was on his way to Liberia as holiday gifts for people working with Dennis on the creation of The Liberian Education Complex. Liberia has had NO schools during decades of civil war and Dr. Harper, who taught there in the 1970s is working with former students to bring hope to the newly stable nation. Why were the calendars confiscated? They were accused of being bootleg CDs. The person transporting the calendars demonstrated that there were no CDs in the CD cases, but that was not good enough. Here’s a question for you. Am I not allowed to travel with my own CDs if I created them? Pretty soon you will only be able to leave the country with the music of Senator Orrin Hatch. Oops! The Senator’s eCommerce site does not work (good thing he’s a teleco regulator). If you wish to purchase one of his fine music CDs, click here .